After a crazy summer, we're stocking up on some of the industry's coolest products. Check out a few of our newest items and come down to the shop to see even more! Tactical Solutions make some of the finest barrels around for your Ruger Rifle or Pistol. Machined from 6061-T6 aluminum, the X-RING barrel has been designed to make your Ruger® 10/22 rifle lighter and significantly more accurate. The X-Ring barrel fits all Ruger 10/22 receivers and most aftermarket 10/22 style receivers. Accuracy is enhanced by a rifled chromoly steel liner with a polished 11 degree crown. The SecureIt Model 52 Gun Cabinet is a premium, heavy-duty firearm storage device that we prefer to call an ultralight gun safe. The Model 52 does everything a gun safe does without being horribly heavy or hard to move. Patented KnockDown technology allows the Model 52 to deliver disassembled (see video below) for efficient transportation/store-ability. It assembles in minutes with a wrench and minimal effort. All assembly is internal and therefore inaccessible when locked. The Model 52 features CradleGrid Technology for adaptable and organized storage for six firearms. 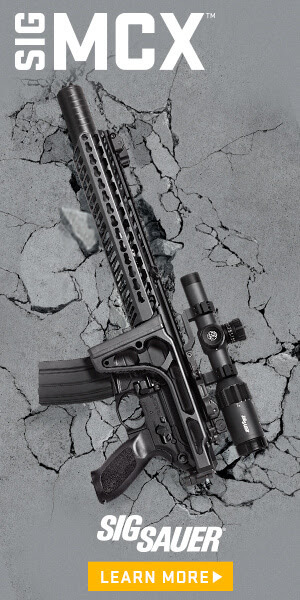 Sig Sauer Electro-Optics. World renowned and the choice for many of the premier global military, law enforcement and commercial users. The KILO2000 will become the simplest, fastest and most accurate laser rangefinder you have ever used. Designed for hunters, archers, military, law enforcement and competitive shooters, the KILO2000 is capable of ranging over a mile with results to the nearest 1/10 of a yard, at the speed of light. The KILO2000 will range over a mile with results displayed to the nearest 1/10th yard. Features our proprietary Lumatic OLED Display, an ambient light sensor which continuously monitors light conditions and adjusts the display brightness accordingly. Multi-position twist-up eyecup provide a custom fit for each user. Dependable waterproof (IP X-4) and fog-proof performance. Lightweight magnesium body and a compact form. The Rhino is the most innovative development in revolver technology in decades, if not since the creation of the revolver itself. Refusing to be constrained by tradition and previous design limitations, the Rhino has improvements that move the revolver forward into the 21st century. Unconventional in appearance and superior by performance, the Rhino fires from the bottom of the cylinder rather than the top. This dramatically reduces muzzle rise and recoil felt by lowering the axis of the bore almost to the palm of the shooters hand. An aluminum alloy frame and barrel shroud make the Rhino lightweight and easy to carry. Accessory rails on the bottom of the barrel shroud on the 4”, 5” and 6” barrel models easily allow mounting lights or lasers. The 6” barrel models come with both rails on top and bottom to easily mount optics as well as lights or lasers.The snag resistant “hammer” is actually a cocking device because of the Rhino’s innovative completely enclosed firing mechanism which can be fired either single or double action. A cocked indicator is clearly visible to indicate the internal hammer status. Another innovation is the hexagonal cylinder which keeps the revolver’s width to a minimum. Available in 2”, 4”, 5” and 6” barrel models in black or stainless finishes, all Rhino revolvers feature an easy to see fiber optic front sight. The White Rhino is the newest member of Chiappa Firearms' innovative line of Rhino revolvers. Featuring a 3" barrel, it also debuts a new and distinctive look. Cerakoted and then laser etched, the White Rhino's frame is reminiscent of actual Rhino hide. The cylinder is matte black. The ergonomic, gray and black G10 laminate grip ties everything together and compliments the theme and colors of this unique and appealing handgun. The 3" barrel length is great for both carry as well as home defense. Since its release date, the Ridgeline has quickly become one of our best-selling firearms. It features a signature, Christensen Arms carbon fiber-wrapped barrel, a spiral-fluted bolt, scalloped bolt knob, and a carbon fiber composite stock. In addition, the Ridgeline utilizes a bedded recoil lug, invar pillars, and carries the Christensen Arms Sub-MOA Guarantee. With a revised grip angle, detachable magazine, and a fully adjustable carbon fiber composite stock, the BA Tactical was designed to give tactical shooters a rifle that delivers at all levels of performance expectations. It comes standard with an integrated 20-MOA rail and 5 flush cup attachment points and is offered in multiple calibers and barrel lengths to suit your specific needs. Fast and Easy way to check barrels for cleaning or wear. Insert the short end of the UV Bore Light Illuminator into the firearm chamber and watch the fiber optic tool light up your bore for inspection. No batteries needed, our UV Bore Light Illuminator are ready anytime, whether you are at home or in the field! New 690 Sporting and Trap: the most renowned Beretta competition over and unders now in a black and more technical edition. The competition over and unders to make your quantum leap in shooting performance. Thanks to the Steelium barrels and to the outstanding balance, the new 690 competition shotguns provide accuracy, ease of handling and perfect control. Exactly what you need when you start aiming at your first 25. Hyper-technical look and matt/polished finishings for this attractive receiver, immediately recognizable by the orange details. Until October 25th, get a Free Bag and 2 Mags with any Sig Pistol purchase. Special low discounted Glock pricing for LE, Military, First Responders, etc. We now have a GLOCK armorer in house and offer Glock upgrades, sight installation, etc. on all Glock pistols. We are also now a Smith & Wesson Law Enforcement dealer. Special low discounted pricing on all S&W firearms for LE.